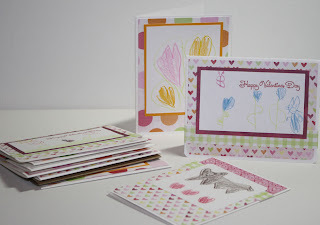 The first Crafting with the Kids Challenge is to create Valentine's cards. Remember you must include a child in the crafting process. You can read and review the rest of the rules on my previous post found here. So... while your making Valentine cards anyway I wanted to share a great cause you could help support. I found a post on the Moxie Fab World blog about Winter's Valentine Card Drive. 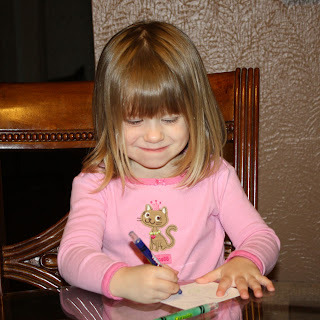 She is collecting cards to send to 4 different children's hospitals in the United States. 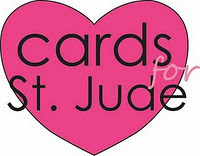 Check out the guidelines and find out how to send her some cards. She must receive the cards by January 31st, so if you are wanting to support this worthy cause don't wait. This challenge is the perfect opportunity for the card drive. What could be better than kids making cards for kids? I cut the base paper and chose the different paper combinations, and they got to do the illustrations. I've found that is the number one most important rules in crafting with your kids. Be prepared!! I had all the paper precut including the white pieces they drew on. I prestamped the sentiments and had everything ready to go before I even told them that they were going to make cards. If you aren't used to including your kids in crafting trust me... you will save yourself A LOT of headaches by having it preplanned. Jilly (2 years) working on her "hearts"
Addy (4 years) finally getting to use mommy's glue. 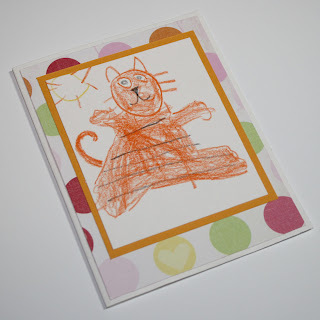 Bailey's (4 years) cat card she drew herself. 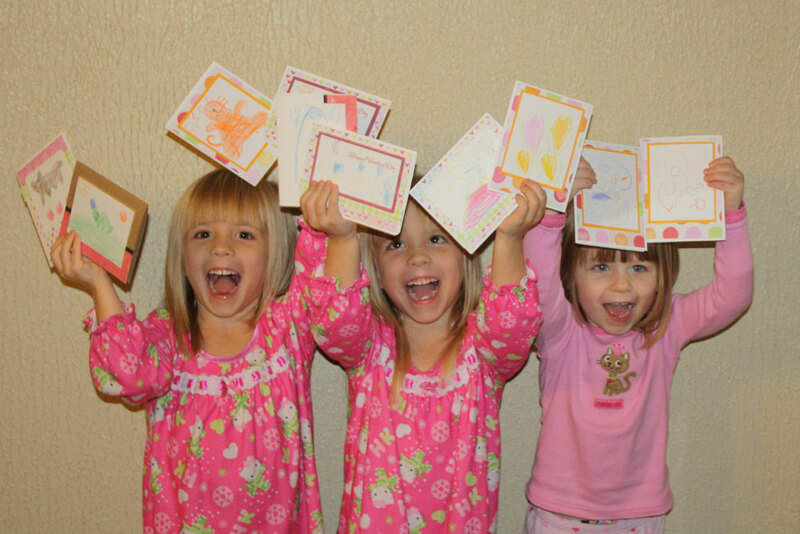 We ended up making 10 cards in all to send to Winter for the Children's hospitals, and we also had a great time together. Check out these faces!! 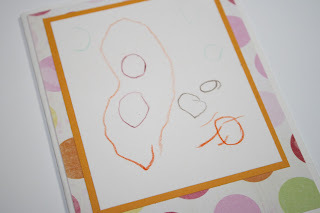 Once again your challenge is to create Valentine cards with a child (your own, a grandchild, niece, nephew, neighbor...) ﻿Post photos on your blog or online gallery and link back to me. Please spread the word and have fun! 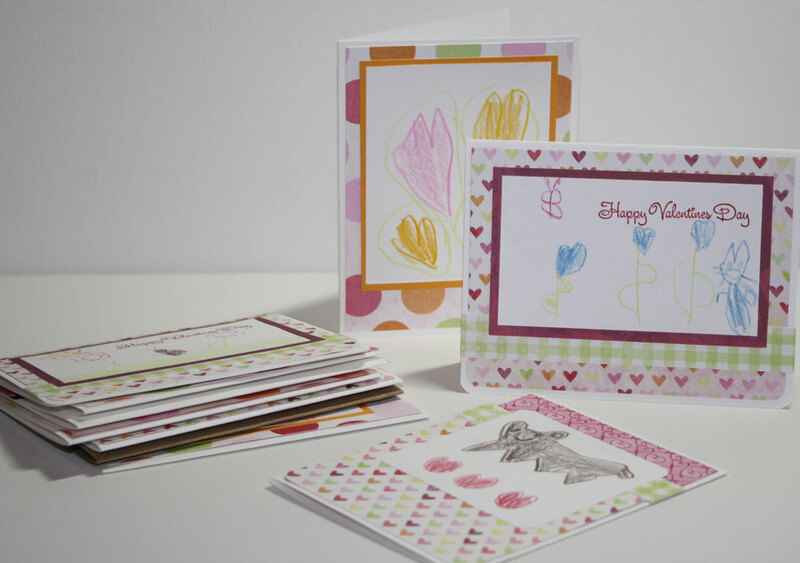 You and a child must create a new Valentine card. Post a picture of the finished project and hopefully a few pictures of the kids working on the projects on your blog or photo gallery. Display the challenge title Crafting with the Kids Challenge #1 and link back to this post on your blog. Link up directly to your project page using the Linky Tools at the bottom of this post. If you share your project in any photo galleries please use the keyword or tag CWTK#1. You will have 10 days to get crafty and link up your projects. All entries must be submitted by midnight on Sunday, January 29th. One winner will be drawn randomly and posted on my blog by Wednesday, February 1st. 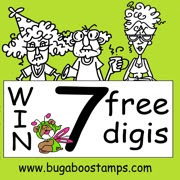 The Prize:The lucky winner will receive a 7 free digis donated by Bugaboo Digi Stamps. Check out the awesome designs on their website!! 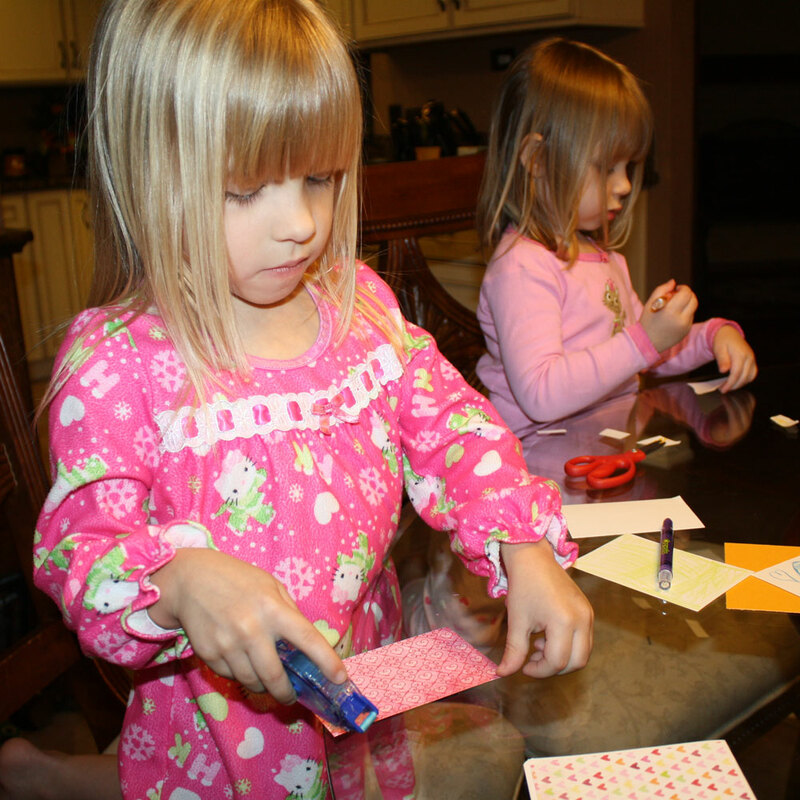 You could even let the kids pick out their favorite designs to use on your next craft. What a lovely crafting session you had! You created some gorgeous cards. I'm impressed that you allow your kids to use your special glue - I have 'mine' and 'theirs', lol!